November 2015 will see the introduction of a very exciting new business expenses app, ExpenseIn, for those of us who as part of our general routine have to manage a large number of receipts and complete the associated VAT returns in order to make allowable expenses claims for businesspurposes with the HMRC. Historically, individuals have had to collate all the receipts that they accumulated driving around the country's motorways, attending client, partner or investor meetings and presentations, staying overnight at hotels or B&Bs, while grabbing lunches and lattes on the go. All those receipts would have to be retained and filed, which would invariably mean an overflowing, receipt-stuffed wallet, or desktop spikes with pierced and crumpled bills going all the way back until last Christmas and beyond. As a company employee, they would then have to spend hours filling in spreadsheets for the finance department, who would in turn have to scrutinise those returns and interact with said employee until all parties were satisfied that the claims and receipts matched up, with each claim legitimate and in keeping with the latest UK tax requirements. A huge amount of combined company hours. So for the self-employed, finance department and business owner, the facility that ExpenseIn provides to track and organise expense records comes as an absolute godsend. Importantly, a USP of the ExpenseIn app is that it comes from UK tax specialists, with a working knowledge of UK tax law and business practices, who are therefore able to ensure that all updates are fully compliant with the latest in HMRC developments. Furthermore, the app itself looks extremely efficient, practical and simple to use - receipts are captured and then discarded while their record is easily accessible and exportable in the cloud-based storage system; expenses can be submitted in an intuitively simple way; approval flows are straightforward and logical to set up; and policies are quick to establish or amend. 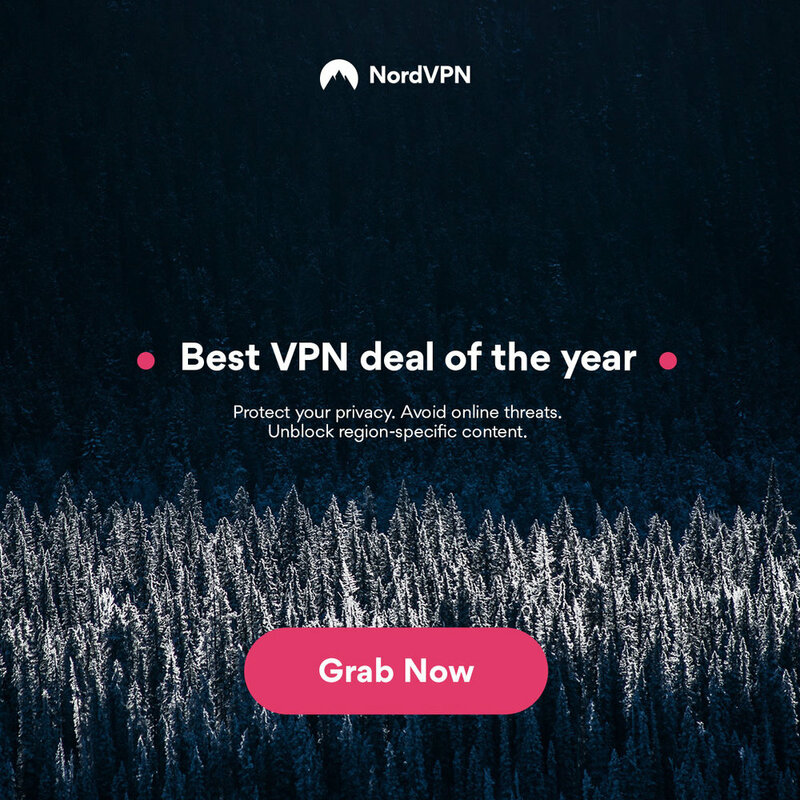 But what's also very attractive is ExpenseIn's pricing system, which, especially with the annual payment plan, is tremendously competitive, with costs close to half of those of some main competitors. So taking into account the breadth and depth of ExpenseIn's features, simple yet thorough setup and pricing, we at Geekanoids really can't wait for its November release. The Light Gold Moto 360 Smartwatch is now available for customers to pre-order online from O2 - the only high street store to stock the exclusive colour. The stunning stainless steel with a light gold colour finish smartwatch and has the look of traditional wristwatch, with the round face and 18mm band giving a comfortable and familiar fit whilst showcasing cutting edge tech. Those who pre-order before 10pm on 20 April will receive their Light Gold Moto 360 from 21 April, before it becomes available to buy from O2 stores on 23 April. The Moto 360 is now available in Light Gold for £249.99. To find out more information and to pre-order, visit http://o2.uk/Moto360Gold. London, 1st March, 2015 – HTC Corporation, a global leader in mobile innovation and design, has today announced the HTC One M8s. Packed with a host of fantastic features that make it a joy to use, the HTC One M8s sports a beautiful all-metal curved body and a stunning 5” Full HD screen made from Corning® Gorilla® Glass to provide a tough, damage-resistant display. The HTC One M8s features excellent imaging options, with a 5MP front facing camera built for brilliant selfies as well as a 13MP main camera that enables those with an eye for photography to capture shots in fine detail. Also included is HTC Eye™ Experience, which offers a host of tools to transform images and push the boundaries of the way people use their smartphone camera. An outstanding audio experience is once again delivered through the well-known HTC Boomsound™, with two front-facing stereo speakers providing crisp sound to music lovers and movie buffs. These features are supported by a 2840 mAh battery and super-efficient Qualcomm® Snapdragon™ 615 Octa-Core processor, ensuring impressive speed and long-lasting battery-life that allows plenty of time to browse, stream, listen, text and talk. Running on the latest iteration of Android Lollipop 5.0, and HTC’s proprietary Sense 6.0 software, the HTC One M8s offers a slick and seamless experience packed with fantastic features. The popular HTC BlinkFeed™ returns, creating a live home screen where users can immediately access their favourite social content and the latest news all in one place. Adding even more to this ease of use is Motion Launch™, which intelligently provides instant access to the HTC One M8s – for example, users can answer a call simply by lifting the smartphone to their ear. Similarly, HTC Switch makes it quick and easy to move all content and information over from another Android phone or iPhone so you’re up and running in no time. The HTC One M8s offers vast amounts of on-phone storage space for all your essential files and tracks thanks to its generous 16GB internal memory. This is boosted by a micro SD slot that allows users to add a 128GB microSD™ card, making the smartphone perfect for anyone with large collections of photos, music or videos. The HTC One M8s will initially be available in Gunmetal Grey at mobile operators and major retailers in the UK, as well as htc.com from the beginning of April. Over the last week we have heard a lot about the HeartBleed bug and for good reason, it’s a serious problem with far reaching potential if not patched in a timely manner. Most of the coverage has been surrounding servers and routers however the problem is more widespread than this and even Android Handsets are vulnerable to the HeartBleed bug. Google announced on Wednesday a full disclosure of how Heartbleed affects it’s services. Google noted that Android version 4.1.1 (Jelly Bean) is in fact vulnerable. Manufacturers should hopefully start releasing updates as Google is distributing a patch to fix the issue. 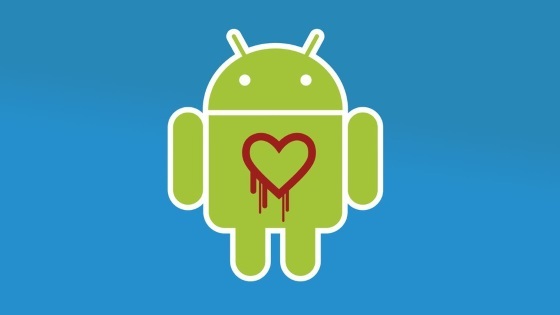 The problem with HeartBleed on Android 4.1.1 is the sheer number of people that are running this version of the Android Operating system. Although released back in 2012 many users are still using handsets that are incapable of upgrading to the latest Android KitKat and therefore are running the outdated but still functional Jelly Bean version of Android. It’s estimated that over 34% of all Android users are still running Jelly Bean but whether this is 4.1.1 or 4.1.2 is unknown. However a Google spokesperson said that there are currently ‘millions’ of devices at risk and running Android 4.1.1. If you're worried about your tablet or smartphone the first thing to do is establish which version of Android you are currently running. To find this out simply go to settings > about phone > software information. If you see Android 4.1.1 then you are vulnerable and you should keep an eye out for software updates on your device and also your manufacturers website for more information. Fitness trackers, Watches and glasses? You can't go far on the web without a tech news site talking about wearable tech. Samsung is on it's second version of it's Galaxy Gear smartwatch, Apple is rumoured to be making a smartwatch and that's just the heavyweights. Rumours started surfacing a while back about Google making a smartwatch of it’s own, and today we finally have some good information about what Google is working on. Today Google announced that they are working on Android Wear a new version of Android designed specifically for wearable devices. Android Wear is designed to be used on a wide range of wearable technology devices however Google says it will start in the area that makes the most sense and that is the SmartWatch. 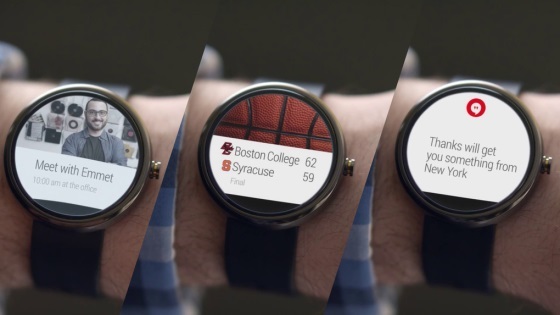 Android Wear has been designed to bring contextual information to a user when it's most needed. In theory this means getting the latest updates from social apps, instant messaging and photos along with showing you the best/fastest route to get to your next meeting or appointment. Google released a concept video for Android Wear today which as you can see has much in common with Google Now and Google glass. As with other devices running Google Now, Android Wear is voice enabled following the "Okay Google" dictation scheme of gathering information. Along with providing useful information at glance on your wrist, Android Wear will also feature health monitoring abilities that allow for real time access to data for users and applications on your smartphone. A key part of making a successful smartwatch includes applications, and this has been proven by the Pebble smartwatch. Google has already released a preview version of Android Wear to existing Android developers to start preparing their existing apps to take advantage of Android Wear. Google also say’s that it will be releasing further API's and resources to developers in the coming weeks. We are likely to hear a lot more about Google's upcoming Android Wear at the Google I/O conference but so far it certainly seems like an interesting concept and I personally can't wait to see this develop further and become available for consumers. It was said that 2014 was going to be the year of wearable technology and that certainly seems true so far and we are only three months into the year. 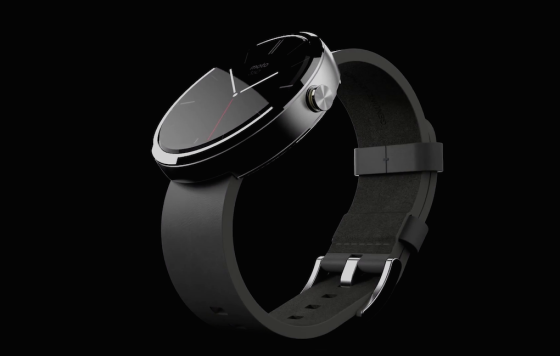 What do you think about Google's smartwatch concept? Do you think Android Wear will be a good addition to the Google Android Platform? As usual we'd love to hear your thoughts in the comment section below. When Google released Android 4.4.2 a few days ago, it removed a hidden privacy feature called App Ops – many of you may know about it, while others may read about it for the first time – which was available on Android since Android 4.3, and now the Electronic Frontier Foundation (EFF) wants it back.